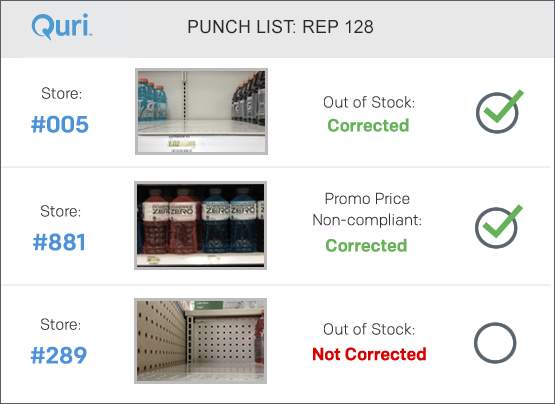 Retail analytics for better retail execution and sales. 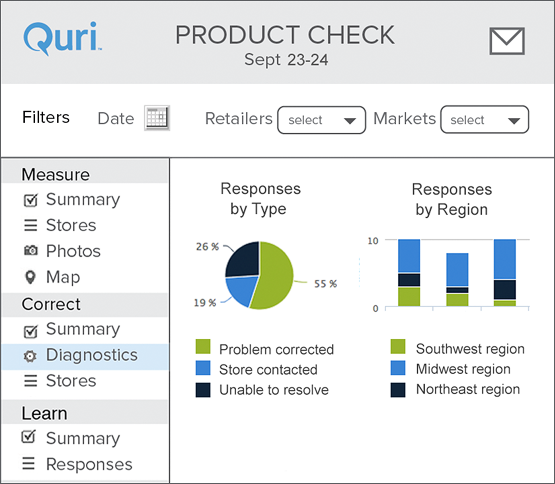 Visibility to see what your shoppers are seeing and the analytics to correct the problems you find. 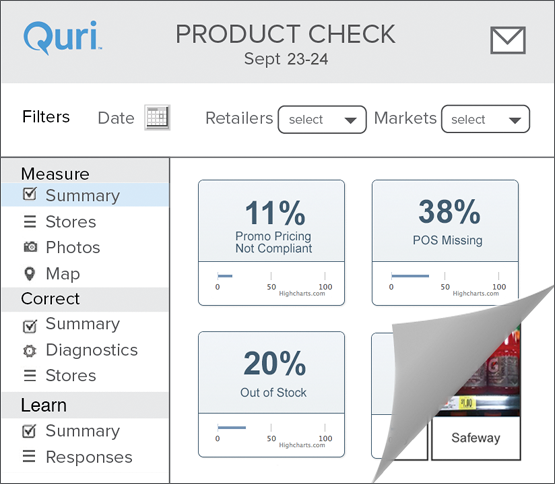 Real–time visibility into the conditions of your products and promotions in the store. Real–time alerts to your execution field force to correct problems early in the promotion. Execution diagnostics to guide performance improvement actions going forward.